I took one last spin around the Quilt Show today. It won't be back for a whole long year. But I got lots of goodies to remember it by. 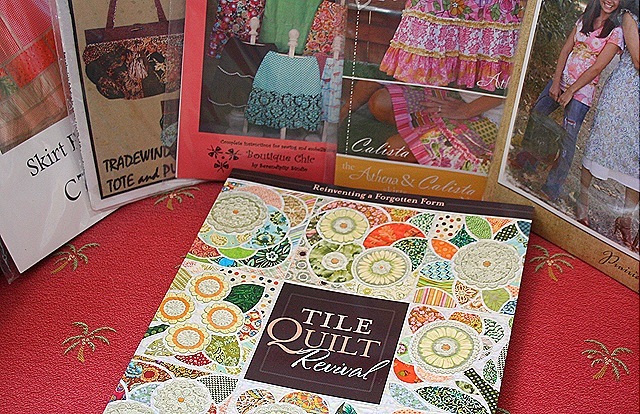 I picked out lots of patterns this year and a new book on tile quilting. 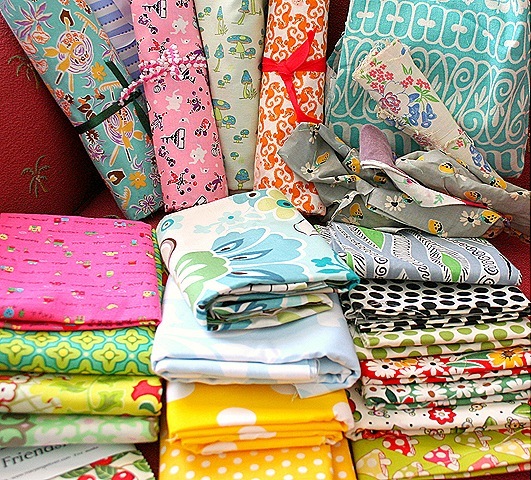 I can't believe I picked up so much fabric, but it just adds up before you know it. I could not resist these layer cake packs. 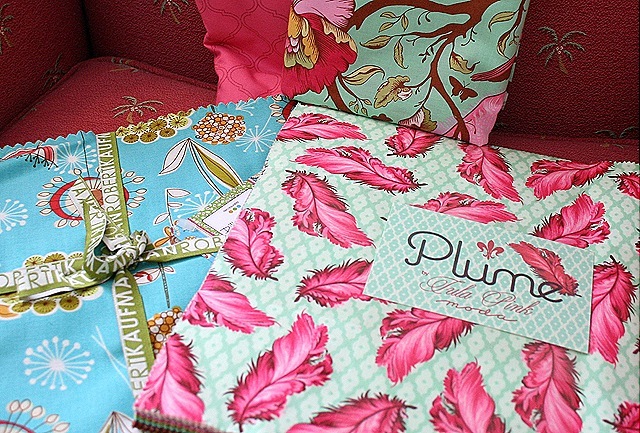 I fell in love with the line of Plume by Tula Pink. That Dill Blossom from Robert Kaufman is way cool. I'm heading upstairs to sew now, see ya. Beautiful fabrics!! Sounds like you had a wonderful time. Oh, I’m drooling over those fabrics. The quilts you showed earlier were lovely, too. Lovely! I’m so jealous. I’ve not been to that show in donkey’s years. I keep telling myself it’s for the best and I reeeeeally need to use up the fabric I’ve got…. Can’t wait to see what you make!